Published by Cyril Huze September 20th, 2015	in Editorial and Events. 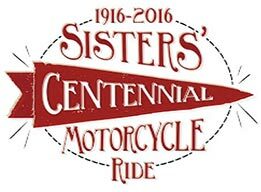 Alisa Clickenger of Motorcycle Adventure Group, LLC announces plans for the Sisters’ Centennial Motorcycle Ride, July 4-24, 2016, a cross-country motorcycle ride for women. 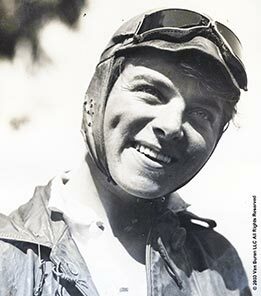 The event will commemorate the 100th anniversary of Adeline and Augusta Van Buren’s historic ride across the United States from New York to San Francisco. “The Sisters’ Centennial Ride celebrates our family legacy by raising visibility for women motorcyclists while raising funds for charities supporting women in traditionally male-dominated careers,” says Robert Van Buren. “We hope many will join us in this celebration of American motorcycle heritage, pioneers, and the freedom to ride”, adds Dan Ruderman, Adeline’s grandson. The event concludes with a large group ride into San Francisco on July 23, 2016, where festivities will celebrate the ride’s completion and all riders’ accomplishments. Women have several options for participation, including a fully supported tour and self-guided tours of the entire route or individual segments. Registration is open at Sisters Motorcycle Ride. Alisa Clickenger is a veteran motorcycle traveler and experienced tour leader. She is a powersports journalist and marketer with a decade-long dream of re-creating the Van Buren sisters’ historic ride. It should be a great event for the ladies…and the folowers. 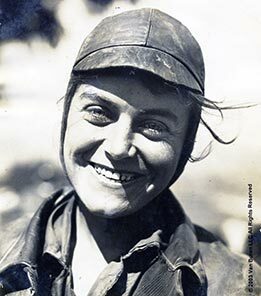 More to the point, in 1916 Adeline and Augusta Van Buren were the first to ride motorcycles up Pike’s Peak…… hand shift & foot clutch power plus scooters….. on what was then a simple dirt path to the top. Not a road at all. Well, today’s motorcycle heroes go all white knuckle seeing a little dirt on the road……. 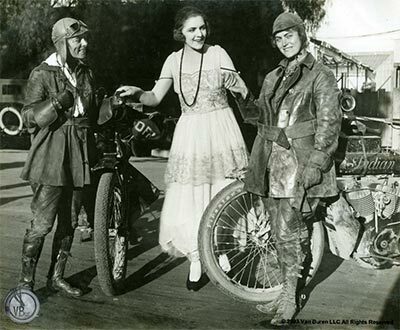 Today’s women motorcycle riders don’t come near to the feats of these 2 pioneer riders. Neither do most male riders. How about making the centennial ride sans electric starters? I think it is obvious the ride is being ridden on sentimental value…A historic memory of these women pioneers. Not really a re-creation of dirt roads or vintage motorcycles or trying to be legendary. It’s great to keep history alive without throwing comparisons around. I for one, just love history and actually going to places where I can just sit and use my thoughts to take me back. I am assuming most, if not all of these ladies will be thinking of the pioneers as they ride and the challenges they had along with a gratification of accomplishment. Safe ride to them all. What a great “excuse” to get a large group of women out to ride! I love that people are nostalgic about the accomplishments of others and want to commemorate them in a way that benefits everyone involved. Would be nice if there was a charity involved so even more people benefit. Kudos ladies! If I wasn’t riding the 2016 Cannonball next Sept. I would LOVE to do this on an 100 year old motorcycle. But… in the spirit of these wonderful Van Buren sisters, it doesn’t matter what motorcycle is ridden. This a great event to celebrate those who paved the way! You miss the point of history if you only use history to entertain yourself. Using history for the sake of nostalgia provides no more value than watching a movie. Negotiating a life time is like shooting a rifle. The front sight is Now, the target is the Future, and the rear sight is History. Without a historic reference there is no good way to predict your trajectory into the future. True “… gratification of accomplishment…” can only be realized by making comparisons. Without such judgements how could one determine the value in anything….??? The value of a lifetime lies in the sum of all of one’s choices. If history governed the trajectory of the future, there’d probably be little interest in the ride imho. The VanBuren sisters would have amply demonstrated to the world that women should be viewed to be as capable as men. If that’s the perspective that you generally observe in the world of two wheels, we’re riding very different routes. Have a safe and wonderful trip! Sounds like a “win-win” to me !! “Ride on & ride safe, ladies” !!!! Anyone who “interprets” hand shifting a motorcycle as “suicidal” is neither an intellectual or a biker.